It’s no secret that folks at MUO really like note-taking apps. If you’re talking Android, there’s Catch Notes, Flick Note Flick Note: Jot Down Notes With Speed and Ease! [Android] Flick Note: Jot Down Notes With Speed and Ease! [Android] As a writer, I need to be taking notes on a 24/7 basis. Notes just make it so easy to track my errands, duties, and obligations. If it weren’t for all the notes that I... Read More , and of course Evernote. Evernote in particular has become a favorite for a lot of people. It’s constantly mentioned around the net as one of the best note-taking apps both for the desktop platforms as well as the various mobile platforms out there. You can get it for Windows, Mac and for iOS, Android, Blackberry, and Windows Phone. But is it the be all and end all note taking app? Is it really best for everything? One other note-taking app that hasn’t been discussed much here at MUO is the Microsoft offering – OneNote mobile. If you’ve read my article on the OneNote How SkyDrive And OneNote Web App Can Help Your Online Research How SkyDrive And OneNote Web App Can Help Your Online Research I was really excited to learn was that SkyDrive provides you with a free OneNote web app that you can use to do just about everything you do with your desktop OneNote application. When it... Read More desktop application, then you know that I like to use it to organize a lot of the research I do for different articles. I like the simplicity of the application, as well as the fact that it has just enough functionality for me to do what I need when it comes to note-taking, without all of the extra bells-and-whistles that usually come along with word processors and other note-taking applications that usually just get in the way. The best way for me to gauge whether OneNote can hold its own in the arena of mobile note-taking apps is simply to place it up against what most people consider to be the best note-taking app of all time – Evernote. Why not? 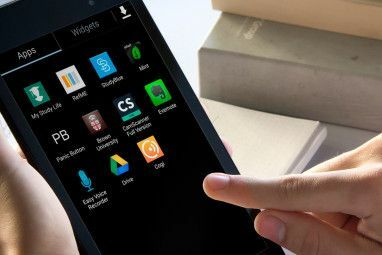 When it boils right down to it, the whole purpose of these applications is to give you the convenience to record ideas while your mobile – in whatever form those ideas may take. 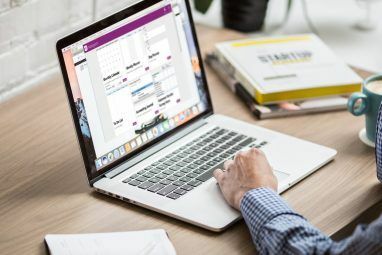 Setting aside the flowery add-ons and bells-and-whistles – does OneNote offer the streamlined ease-of-use for quick note-taking, while also offering enough features to compare to the likes of Evernote? 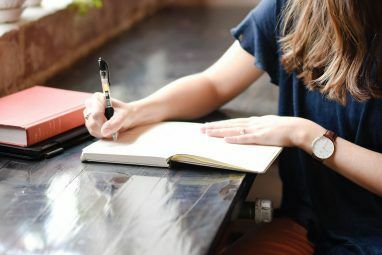 I constantly switch between note-taking apps because I’m always on the hunt for that “perfect” app that won’t be a pain to use – overloaded with features and overburdened with complexity – but will also give me the functionality I need. I used Evernote for quite a while, so I already had an account. This made it really easy to test the Evernote app for Android. All of these tests were conducted on my Android tablet – the Asus Prime. It doesn’t take very long to see why Evernote is so popular. Bottom line is that the layout is really slick and easy to organize. You’ve got a four-button note-taking app, essentially. Create a new note with a tap of the finger, take and notate a snapshot with another tap of the finger, record an audio note just as easily, or attach a file. As you can see, notes are really easy to organize within “Notebooks”, and of course you can tag notes so that searching for them is really easy. These features have all been covered in other reviews here at MUO 5 Uses for the Evernote Desktop Clients [Windows and Mac] 5 Uses for the Evernote Desktop Clients [Windows and Mac] A couple of years ago, we had a post on the myriad uses for Evernote, which could well be an all-in-one second brain. 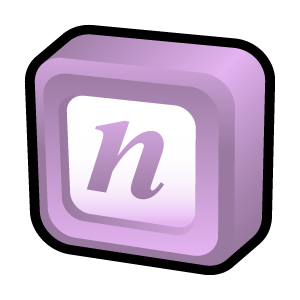 With the advent of improvements on the desktop clients, there have been... Read More , but its worth mentioning again so that we can compare these features to OneNote. If you’re talking about bells-and-whistles, there can be no doubt that Evernote has it. From right within the app you can search for Evernote “add-ons” and widgets that just extend the app like you wouldn’t believe. One add-on provides speech-to-text. Another add-on integrates Evernote with your home screen. Yet another lets you jot drawings or notes by hand on top of your photographs. And when it comes to functionality – there are separate Android apps that you can install that extend the features of Evernote even further. One example is Evernote Food, which lets you quickly “note” the meal that you’re having. You do this by taking a quick snapshot and adding the details about the meal. The app automatically loads that information into your Evernote account as a new “note”. Then there’s the Evernote Hello app, which basically helps you to quickly add an Evernote contact “business card” to your Evernote account the moment you meet someone. Snap their picture, jot down their name, email address and phone number, and voila – you’ve just instantly added a contact note to your Evernote account. The app gives you a nice little feature where you can browse through all of your contacts using a grid that displays all of the contacts by their photo. So, as you can see, Evernote will leave people wanting for nothing. If you want flashy apps that let you view meals, capture contacts, and let you stuff groups of notes into “Notebooks”, by all means stick with Evernote. But what about OneNote, does it have anything to offer the humble note-taker that simply wants to….oh, I don’t know, jot down notes? What OneNote mobile has going for it is that it is about as streamlined and convenient as it can get. Just tap the big “+” button and you’re instantly in the middle of adding a new note. You can type up a text note quickly, which will immediately get synced to your online Microsoft Live account. No save button required – it gets saved automatically. Sure, you can install extra apps to capture cool pictures of your meals. But why install extra apps when all you have to do is tap the camera button at the top of a note you’re creating, and you can capture a picture that gets embedded directly into the note? It’s perfect for jotting down information about where you were, what you were eating, and capturing a quick snapshot of the meal. You’re done, and it’s all from within the single OneNote app. Want to capture contacts like the Hello app? No need for an additional app there either. Just create a new note, type in the address and phone details, and then tap the camera icon. You can take a picture of the person, and it automatically gets embedded into that note. Within less than a minute you can create a contact, complete with a photo snapshot of the person. Never forget a name or a face. I know – she’s got a face only a mother could love, doesn’t she? Anyway, the only drawback that I see between OneNote and Evernote is that Evernote has far superior organizational features. The ability to organize notes into “Notebooks” is a pretty big deal. OneNote does at least provide not only the main screen list of up to 500 notes (the maximum for the free app), but it does give you a quick list of Recent Notes you’ve created so that you can usually quickly get back to notes you’ve recently made, or that you’re working on. Personally, I think the decision as to which app is more useful comes down to what you’re going to use it for. If you really don’t care for all of the flashy layout, and you want an effective and simple note-taking app that syncs your notes to an online account, OneNote will get it done for you. If you’re looking for lots of cool features, awesome graphics and plenty of add-ons, then you’re probably best off sticking with Evernote. Have you ever tried using the OneNote mobile app? Do you like it? Share your own thoughts and experiences with this app in the comments section below. I realy don't understand why onenote takes up 250mb on my Android phone. Evernote uses a quarter of this size. This article is bit long in the tooth. A great deal of evolution has taken place for both applications. Is there any plan to revisit this topic and provide a current for 2016 comparison between these two tools? For me the most critical element of a note package is offline access. I have a limited data package and therefore need access without the net. Both Evernote and Onenote offer this but Evernote charges a monthly fee (that's c£6pm every month or £72pa) and Onenote charges nothing. That's the deal maker for me! I use OneNote (ON) and Evernote (EN) on iPhone, iPad and Win 8. 1) All devices can highlight EXCEPT their desktop app - FRUSTRATING!! - even their 'clipper' Chrome extension let's you highlight - criminal! 2) New mobile version: search/use tag to list notes; can NOT sort by notebook!! ON is very limited on mobile; great for capturing note, not for viewing notes with URLs, especially when used in tables. Unfortunately we miss categorize the category. It's NOT about "Note Taking" - it's about organizing so that you can design/think/be creative, with easy/quick reference your notes. Yes, it must capture notes, photos, audio. Once captured, your are now free to innovate - and make yourself a value-add member of the teams you are on. Therefore ON is that "I reguarly add-value to my team" platform! Another BIG difference. Evernote is fraught with bugs. Unexplained data losses, note formatting mysteriously disappearing, clipping apps stop working in Outlook and Firefox, etc. It seems there *are* benefits to being a large corp such as MS- quality control and testing. If Onenote had Evernote's 'notebook' type of organization, sharing/sync between users and platforms, the Earth would actually tip off its axis from all the people switching sides! FYI. Sourcing: Check their forums, discussion.evernote.com for the many posts about these problems. well if your talking mobile apps so far i really like evernote, although to my dismay i can be just as unorganized with an app that practically does everything for me. notes here notes there havnt yet got the whole system down yet and ifi remember to use it it is a wonderful tool as appossed to indeciphrable handwritten notes on the backs of my mail that end up as scratch paper, or my sons homework for that matter. i have struggled with office word one note whatever for a couple of years on my pc. i have even taken classes at the local library, and well i just dont get it, however i am persistant and last night i downloaded the free 2013 office suite with one note synced one note to my phone and tablet and feeling somewhat satisified i chickened out after my first attempt. why were my fonts set to 20 anyways? ididnt do it, sometimes i feel like microsoft loves to have a laugh at my expense. i have alot of "notes" to take this afternoon and because i really want one note it bettet cooperate or i might just go all ninja and hope my tablet survives. Great article. I love Make Use of because of people like you. You forgot one big difference though. Evernote id FREE. Transitioning to Win8/64bit and so am finally giving up my sweet DOS "AskSAM" catch-all that I've been using since 1984. Thought of using mSecure as a note catcher, but while it runs on any platform, it's just not made for the "do anything, quickly, intuitively" task. Appreciate your comparison of these two. Tried them both with what you've said here in mind. Obviously, I'm been in a limited environment for close to 30 years, but being forced into the 21st century, it's difficult to settle for the parochial limits of OneNote. On the other hand, while the features of EverNote are quite attractive, what's the deal with $45/year? I paid around $100 and got 30 years out of it. Ok; ok; inflation and all; sure. But $45 this year and $NN next year and so on? Nah. Why not use the free one? Probably will, but frankly, I'd prefer to pay a fair price for a professionally made product, share hugs, and then just go our separate ways. I use both Evernote and OneNote. On Mobile, it's nice to be able to access all notes from both platforms, anywhere. As far as easy, stream-lined note-taking/entry on the go, however, OneNote would be the hands-down winner IF they would just extend the ability to record audio while typing notes to the mobile platforms. Perhaps this is available in Android--it is not in the iOS version. I prefer Evernote having use OneNote and hating it, I actually convince my teacher to let me use Evernote Instead. If only OneNote could extend its awesome functionality onto all mobile environments. Does OneNote have any capability for capturing handwritten notes? For any tablet user that becomes a big deal. Evernote has "Skitch" which is frankly awful. I find I use Freenote for taking handwritten notes in a meeting and use Evernote for copying text, images, etc... for access anywhere. It would be nice to be able to do both of these things in one program. I'm still not terribly thrilled with the freenote method of capturing text either. I'm using OneNote on my laptop and on my Lumia phone. I find it pretty practical - mostly I'm on my laptop but every now and then I want to make notes or check something on my phone and it seems to work OK.
No, I can't draw with OneNote on my phone but if I'd want that, I'd start an app for drawing, save it from there and insert the image to the note. OneNote and the drawing app can run simultaneously and I can just jump between the windows. Well, i use OneNote for university on my laptop and I don't see the need to use it on my mobile as well, so I'm fine. On the other hand, the OneNote iPad app is great. Yeah, I actually tested these on my Android tablet. Did I miss something in the article? Are you saying OneNote mobile does not support Notebooks? It does, The interface is not as elegant as EverNote, many of the features are similar. I tend to use both, but for different purposes as the interface to my desktop apps is much cleaner in OneNote. The ability to support multiple Webs allow me to segregate data between Office, personal and others. Once created I tend to create Notebooks to further organize. Basically yes - do you use the Android version Wesley? Where in the app are you referring to "Notebooks"? Maybe I'm just not seeing a feature in the app that's comparable to Notebooks in EverNote. I don't know about "comparable to Evernote" but OneNote does use notebooks. In fact, the name of the notebook you are currently in shows right in the title bar. The first list that comes up in OneNote for me is the notebooks list. Once you select a notebook, you can use the title bar to back out back to the main list. it's cumbersome navigation, but they are there. Onenote has a powerful Windows program, but the mobile apps are lacking. Evernote is much more practical and useful for more common uses. I use it for notes in class, ideas for projects, todo checklists, and other various personal, school, and work uses, syncing between my Android phone, iPad2, Windows desktop and Ubuntu Laptop (with Nixnote native app). Exactly! I was so letdown by the lack of features in its mobile variant that I switched to Evernote.